Three years ago we joined my brother’s and sister’s families for a weeklong vacation in Puerto Rico. We rented a house near the beach together and did all the usual touristy stuff – a day in Old San Juan, a hike in the El Yunque rain forest, a boat trip to a snorkeling reef. 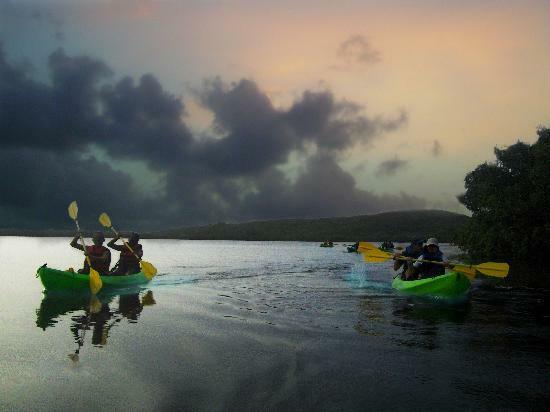 The outing I remember most vividly was a nighttime kayak trip into the bioluminescent Grand Lagoon in Fajardo, on the northest corner of the island. 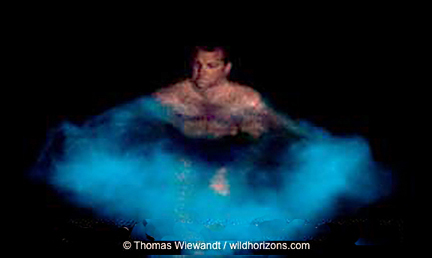 Millions of tiny, invisible single-celled organisms that light up as a self-defense mechanism when disturbed. You paddle at dusk through a narrow, mangrove-lined channel into the open lagoon. Night falls. Sweeping your paddle through the black water, you create a Milky Way of light. The wake behind your paddle glows, it swirls as you swirl, then it dims as you move on. 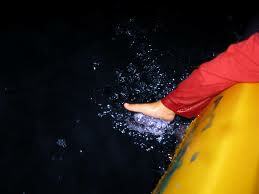 You run your hand in the water and create more trails of light. A million little lights switching on, shining against the dark, at just a touch. It’s like being God at the Creation. It’s like being Harry Potter – no, it’s better than Harry Potter, because you don’t even need a wand. Then I learned last week on NPR’s Science Friday that the Fajardo lagoon had gone dark. This happened back in November. Suddenly there was no more bioluminescence. No one was able to identify the specific reason. It could have been any one of a number of things – toxic runoff from construction of a nearby wastewater treatment plant, removal of too many mangroves around the bay, changes in temperature or wave action or ???? This made me deeply sad. We are living at a time when large numbers of creatures are on the edge of extinction, due to loss of habitat and climate change. Many of these threatened creatures are bigger and better known than the invisible Fajardo micro-organisms – leopards, polar bears, Monarch butterflies, coral reefs. But these in the Fajardo lagoon were ones that I’d personally experienced. It’s one thing to know that polar bears – which I’ve only ever seen behind the walls of zoos — may go extinct. It’s another to lose something that I have seen in its wild home. That I have actually touched. And that is so stunningly magical. What kind of legacy are we leaving for future generations? Is my generation going to be the dividing line – will history say that in our time, there were snow leopards and Monarch butterflies and bioluminescent bays, but forever after they were limited to pictures in natural history books? I circled around and around in this depressing line of thinking all weekend. Then today I did a little Googling, and it turns out the story of the Fajardo bay may not be as dismal as I thought: The biophosphorescent lights went dark just temporarily in November. They are apparently back now, at least somewhat. So I breathed a sigh of relief. But how relieved should I be? Just this month, another bio-bay on the nearby island of Vieques went dark, according to Science Friday. And we are only beginning to see the effects of climate change on our world…. the subtle changes in water temperature, rainfall, or length of a season that can mean the difference between survival and extinction for a species. The Fajardo biobay is back for now. But for how long? And what other magical parts of our natural world are we going to lose because our “leaders,” in thrall to the petrochemical industry, continue to quibble and deny? There is not a lot of hope floating around the world of Israeli-Palestinian relations these days. We’ve got Hamas still in charge in Gaza, as dead-set against coexistence with Israel as ever. We’ve got Netanyahu in charge in Israel, forming ever more hawkish coalitions and sticking his finger in the eye of a two-state solution by moving ahead with massive new settlements in and near East Jerusalem. But here is hope… in a cookbook. My daughter had a job providing holiday retail help this past week at Rockridge Home, a hip, friendly gift store in our neighborhood. Yesterday she pointed me to a cookbook they sell called Jerusalem. Jerusalem is a beautifully-produced hardcover recipe book with gorgeous photos of food and people from Jerusalem. No big deal, right? There are lots of beautiful cookbooks around. But Jerusalem is co-written by an Israeli and a Palestinian — who are warmly willing to credit the cuisines and cultures of the many peoples living in that disputed city. This is in distinct contrast to the more common approach, which is to fight over who invented hummus and falafel. Jews invented it! No, Arabs! No, Jews! As if it’s not enough to fight over land, water and sovereignty, people even have to fight over sandwich fixings. In any case, co-authors Yotam Ottolenghi (Jewish from West Jerusalem) and Sami Tamimi (Palestinian from East Jerusalem) work together as chefs and restaurants owners in London. They’ve both lived abroad for longer than they lived in Jerusalem, which perhaps accounts for their ability to collaborate like this. The book has plenty of wonderful-sounding recipes from Jerusalem. Stuffed artichokes with peas & dill. Stuffed eggplant with lamb & pine nuts. Butternut squash & tahini spread. But more importantly, it acknowledges the central role that Jerusalem — its tastes, its smells — plays in the deepest hearts of both Jewish and Arab residents. The flavors and smells of this city are our mother tongue. We imagine them and dream in them, even though we’ve adopted some new, perhaps more sophisticated languages. They define comfort for us, excitement, joy, serene bliss. Everything we taste and everything we cook is filtered through the prism of our childhood experiences; food our mothers fed us, wild herbs picked on school trips, days spent in markets, the smell of the dry soil on a summer’s day, goat and sheep roaming the hills, fresh pitas withy ground lamb, chopped parsley, chopped liver, black figs, smoky chops, syrupy cakes, crumbly cookies…. This is a book that acknowledges and cherishes those childhood memories. It doesn’t ignore the political conflict. But it seeks common ground — even where Jewish and Arab foods may be different, their emotional resonance is shared. It also pays homage to cultural traditions in Jerusalem such as Russian, Greek, Armenian, Lithuanian, Bukharan, Yemeni and Ethiopian that are often overlooked in broad-brush discussions of Israeli versus Palestinian claims. In this soup of a city it is completely impossible to find out who invented this delicacy and who brought that one with them. The food cultures are mashed and fused together in a way that is impossible to unravel. They interact all the time and influence one another other constantly, so nothing is pure any more. In facet, nothing ever was. Jerusalem was never an isolated bastion. Over millennia it has seen countless immigrants, occupiers, visitors and merchants — all bringing foodsand recipes from the four corners of the earth. So why does this mean hope to me? Certainly there is the inspirational image of the Palestinian and Israeli chefs as partners, collaborators and friends. But it is also their philosophical approach — acknowledge the “other,” acknowledge the other’s deep emotional connection to this place, and use that common connection to build a partnership. This is what we will need in order to achieve a lasting peace between Israelis and Palestinians — enough people who accept the other’s deep ties to the land, who respect the other’s culture, who can perhaps even celebrate the commonalities. Maybe it requires living in diaspora for this to happen, away from the daily body-blows of checkpoints and missile strikes, in a place with a melting-pot tradition like London or America, in a country where the damp, cold winters make a common longing for sunny olive-studded hillsides and fresh tomato-cucumber salads so much more apparent. This is only a cookbook. And I haven’t even tried making any of the recipes yet. But it’s also a tiny spark of hope. Thank you Ten Speed Press/Random House for publishing this! At $35, it’s pretty pricey. But the production values are high, the pictures are beautiful, you can learn a lot about the cultures and foods of Jerusalem, and yes, your $35 buys you a little bit of hope. Click here to order Jerusalem from an independent bookstore. Or click here to order it (at a discount) from Barnes & Noble. The New York Times had a front-page story last week about how, exactly, Israel would carry out a preemptive strike on Iran’s nuclear facilities. Reporter Elizabeth Bumiller interviewed all sorts of military experts about the logistical challenges of such a strike, even including a map of three possible air routes that Israeli fighter planes could use to reach Iran. This felt surreal. Such a strike would be a a de facto act of war. Normally it would be planned in deepest secrecy with a goal of utter surprise. But here we were — millions of New York Times readers, to say nothing of the diplomats and pundits — discussing it as casually as we would discuss Jeremy Lin’s basketball prowess or Mitt Romney’s strategy for winning Michigan or Florida. What kind of “surprise attack” is this when the entire diplomatic world has been debating it for months, and the New York Times has printed maps of the flight routes on its front page? Maybe it would be a quick surgical strike that slows down (doesn’t stop) Iran’s nuclear production. There would be an explosion of news stories, lots of denunciations and finger-pointing, and then life in the Middle East will go on as usual. On the other hand, maybe this is the equivalent of the assassination of Archduke Franz Ferdinand, a “surgical strike” that in fact launched World War I. Maybe Iran retaliates and wipes out half of Tel Aviv. Maybe other countries like Syria or Pakistan decide to intervene on behalf of Iran. Maybe things escalate further and we end up with some kind of huge international conflagration…. I feel conflicted about this whole scenario. I believe strongly in the rule of law, international diplomacy and trying to work things out non-violently. 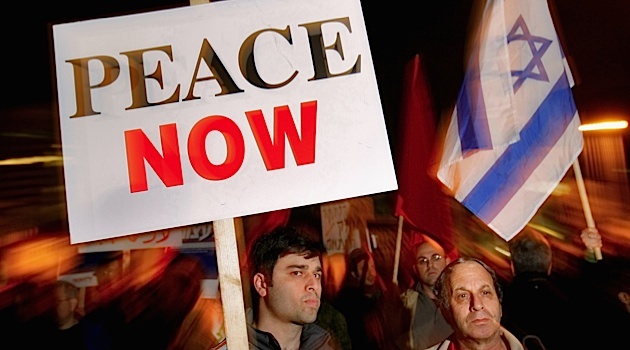 Thirty years ago, I would probably have come down squarely against an Israeli attack. But thirty years ago, the “enemies” that America and Israel were dealing with were different. We hadn’t seen the emergence of the totalitarian, anti-Semitic, fundamentalist Islamic state that is Iran. I don’t doubt that Iran’s current government would be willing to use a nuclear weapon against Israel if it had one. Unlike Latin American leftist movements, for instance, the Iranian mullahs don’t differentiate between governments and people — they’d be willing to kill a million civilian Israelis to punish the Israeli government. So one question is — is Iran in fact close to having nuclear weapons? I have no good way to evaluate this. Most experts seem to think so; but then there are some who disagree. We rushed to judgment on Saddam Hussein’s weapons of mass destruction and later found out we were wrong, so there is good reason to be skeptical. Yet people tend to fight the last battle rather than the current one. Just because Iraq didn’t have WMD doesn’t mean that Iran doesn’t have nuclear capability. So then there is the second question: Is there a non-violent way to keep Iran from developing nuclear weapons? A revolution within Iran that brings to power a more moderate government that wants to ally with the West. 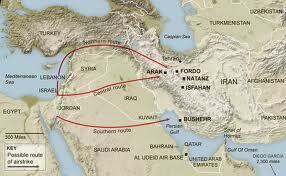 Complete resolution of the Israeli-Palestinian conflict, so there is no longer any pretext for Iran to attack Israel. So where does that leave me? Conflicted. I hate the idea of Israel acting outside the law, attacking another country, assigning itself the role of international vigilante, and killing civilians as will inevitably happen in any large-scale military action. It’s so completely counter to the idea of Israel as a light unto the nations, a country built on Jewish ethics. At the same time, I don’t see an effective alternative. And so I sit here, reading stories like that Feb. 20 New York Times piece with a combination of surreal fascination and angst. I feel like we are watching two trains head toward each other in slow motion. Everyone sees it; no one can stop it. Is this how people felt in the run-up to the Franz Ferdinand assassination? If you’re one of my more tech-savvy readers, you know what a flash mob is — when a group of ordinary people come together, in what appears to be spontaneity but has in fact been orchestrated via cell phone, Facebook etc., and perform a group dance or dramatic action in a public spot. There are some great examples on YouTube of people doing this in places like Grand Central Station. It’s fun to watch the looks on the faces of passersby as they try to figure out what’s going on. Beit Shemesh, an otherwise pretty ordinary city between Jerusalem and Tel Aviv, is the latest hot spot in the ongoing clash between the ultra-Orthodox and modern-minded women in Israel. Signs had been hung in an ultra-Orthodox neighborhood instructing women not to walk on the same pavement as men, to dress modestly and not to loiter by the local synagogue. Girls as young as eight and nine are regularly harassed, spat upon and called “prostitutes” by local ultra-Orthodox men as they walk to school. This particular flash mob is not great as far as choreography goes. (For better choreography, see the classic flash mob doing Do Re Mi in the Antwerp train station.) But I love the spirit behind it and the statement it makes. Plus, who’d ever have guessed that a song by Queen would become a political statement fro women’s rights in the Middle East? On my one free Friday in Israel, my old friend Danny agreed to play tourist with me and visit Jerusalem. We wandered around the Arab souk in the Old City, which was just as filled with smells of zaatar and Turkish coffee as I remembered. We tried to join a free guided tour, only to distract ourselves in conversation and lose the tour group completely within the first three minutes. 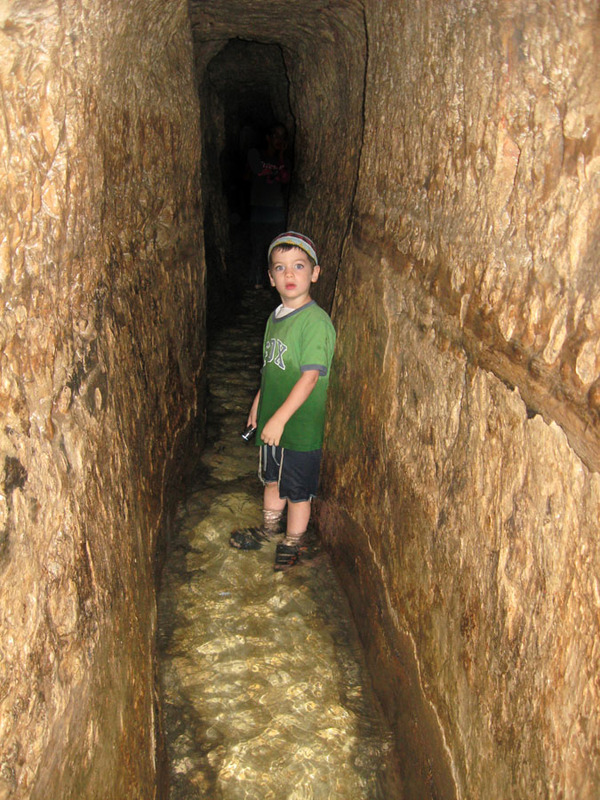 “Let’s visit Hezekiah’s Tunnel,” I suggested. This was an archeological site that hadn’t yet opened when I lived in Jerusalem in 1984-5 — a 1/3-mile-long tunnel deep that had been used to bring water from a spring into the Old City around the year 700 BCE. 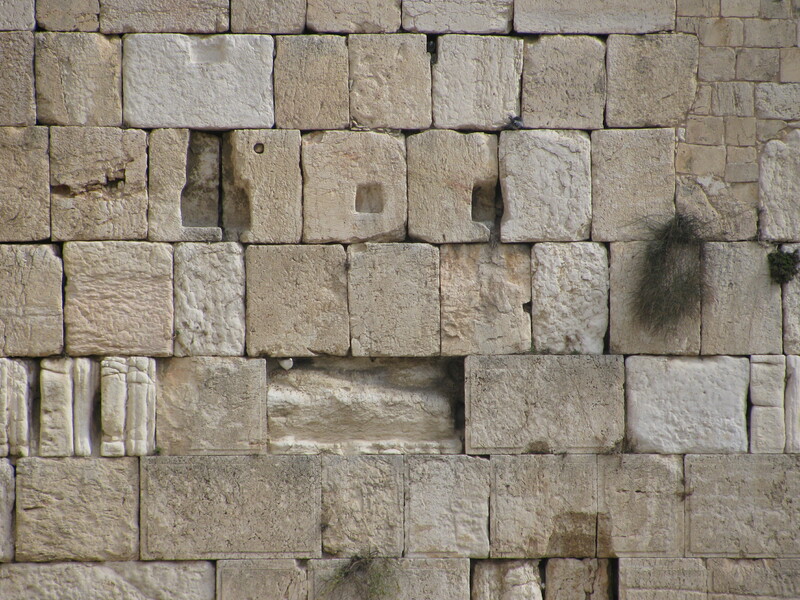 My daughter had visited it with a Jewish American teen tour in 2010. My brother and sister-in-law had visited it with a tour group from their synagogue last summer. They all raved about it – what wasn’t to love about walking for a quarter of a mile with flashlights through a wet, dark, evocative 2,700-year-old tunnel? Classic Jerusalem: A casual morning outing morphs into a dose of cultural conflict and duelling realities. It turns out that the tunnel is part of an archeological/tourism complex called Ir David that is mired in Israeli-Palestinian politics. There is a legitimate, fascinating archeological site there – the excavations were done by professional archeologists over the course of the 20th century. 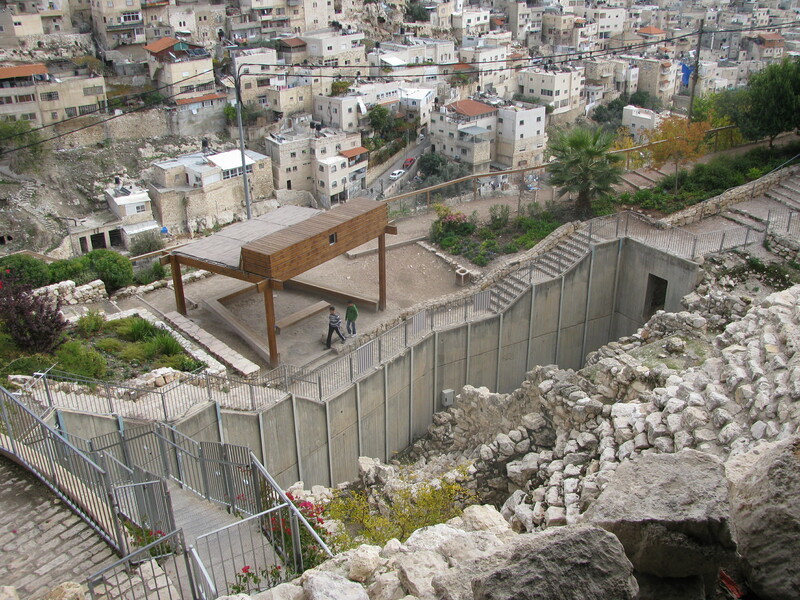 But then management of the site was outsourced to a group affiliated with Jewish nationalist-religious settlers who are determined to turn Silwan, the poor Arab neighborhood around the excavations, into a Jewish neighborhood. 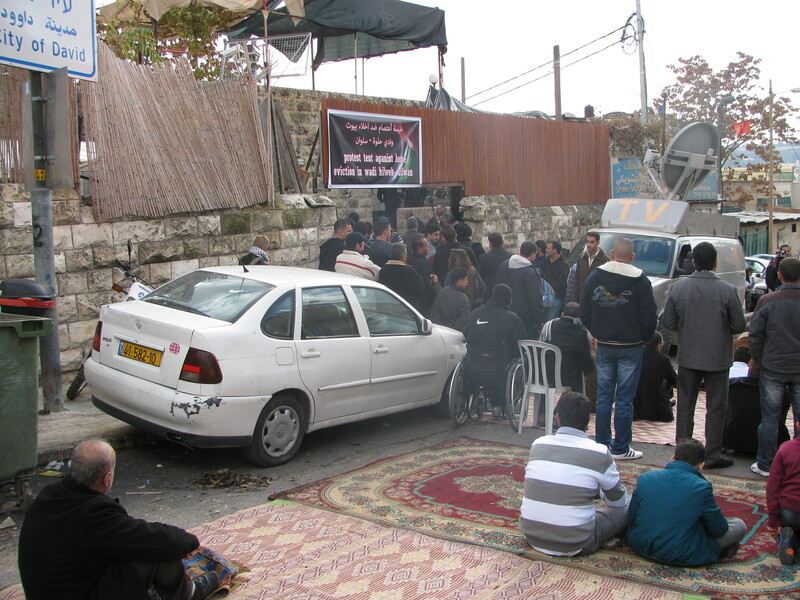 Dozens of Palestinian families living above or alongside the archeological site are facing eviction from their homes. One was due to be evicted a few days after our visit. Danny and I continued on and walked part of the tunnel. It’s impressive and cool. But knowing that, above you, people are being evicted as part of a religious land grab tends to dampen the historical thrill. And this is what kills me, makes me absolutely furious. American Jews visiting Ir David with an organized tour – my brother’s family, my own daughter — experience Hezekiah’s Tunnel as a great romp. An archeological theme park. They have no clue about the nationalist agenda and the political subtext. They have no idea that there is another side to the story. They are being duped and manipulated by the settlers. When I lived in Jerusalem in 1984-5, the fascination and also the heartbreak was that the city holds two such completely duelling realities. Each one has its truths, and each one has its propaganda and myths. It kills me when American Jews go to Israel and see only one side of the story. Sure, each side has its propaganda. But that makes it even more important for people to seek out and hear the stories of the other side. And archeology doesn’t have to be like this. There are ways to do archeology that respect living communities as well as dead artifacts. There are ways to do archeology that tell an inclusive story of all the peoples living at a site over the millennia, not just the story of those currently in power. Archaeology can provide a robust and viable alternative to nationalist and exclusivist readings of history. Jerusalem’s material remains are so varied and contradictory that only by ignoring large parts of them can a single narrative be offered. Once it is recognized that conflicting narratives can coexist, and that there is no unitary historical truth, then the stranglehold of the past on the present begins to weaken…. Far from the mere confirmation of prior beliefs, the best kind of archaeology challenges what we think we know about the world and about humanity. Perhaps a little less complacency — and a little more humility — about our past is what we need to give Jerusalem a viable future. We can do so much better, so easily. Like many other American Jews, I’ve heard warnings for a long time about the Arab demographic threat to Israel. If Israel continues to occupy the West Bank, this argument goes, the Palestinian population will outnumber the Jewish population and the country will have to choose between being a Jewish state and being a democracy. During my visit to Israel this month, though, I heard over and over about a different demographic threat facing the country — an ultra-Orthodox demographic threat. 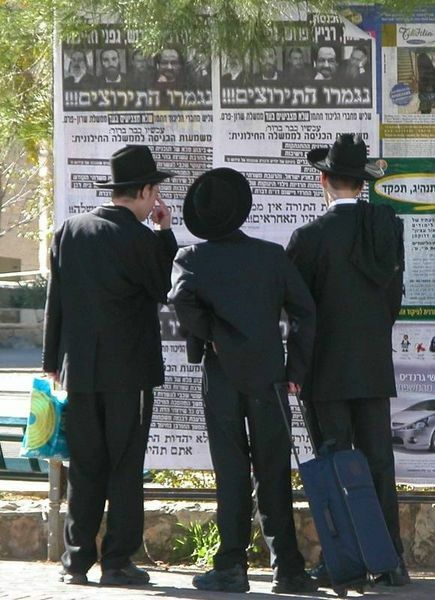 Recent decades have seen huge population growth among Israeli haredim — the extremely observant, black-hatted sects within Orthodox Judaism that believe halacha (Talmudic law) should govern every aspect of their lives, that don’t accept modern reforms such as the equality of women and men, and that maintain a kind of 17th century shtetl lifestyle in our 21st century world. The ultra-Orthodox have been exempt from Israel’s compulsory three years of military service since the founding of the state. They receive government funding to run their own school systems, which unlike in the U.S. are not required to teach secular subjects such as math. The ultra-Orthodox in Israel have institutionalized Torah study to a point where few adult men hold jobs: They are all expected to study in yeshiva, regardless of their aptitude or interest. They typically have large families of seven, eight or more children. Sometimes the wives work to support the family, but most haredim live in poverty, supported by Israeli welfare payments or charity from abroad. Secular and moderately-religious Israelis have had occasional friction with the ultra-Orthodox for years. When I lived in Jerusalem in the mid-1980s, the ultra-Orthodox would throw stones at any cars that happened to drive through their neighborhoods on Shabbat. Secular Israelis chafe at the Orthodox monopoly on marriage and divorce. Feminists continue to protest against Orthodox-driven rules that prohibit women from reading Torah at the Western Wall. But these occasional conflicts may be dwarfed by the demographic issues looming ahead. The ultra-Orthodox population is growing at an estimated six percent each year — far above the general Jewish Israeli growth rate of about two percent. That means the ultra-Orthodox population will double every twelve years. While Haredim today make up about eight or nine percent of Israel’s adult populace, by 2028 they are likely to account for more than one-fifth of the Jewish population in Israel. One-fifth of the Jewish population relying on the other 4/5 to defend it militarily. 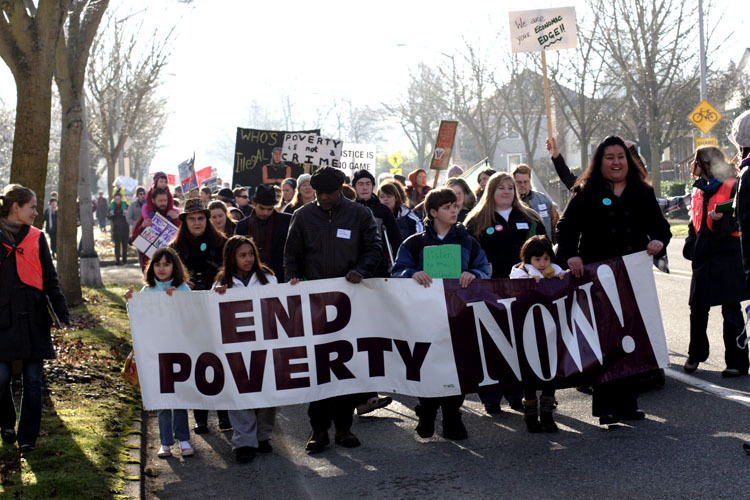 One-fifth of the population relying on the other 4/5 to support it financially. One-fifth of the population without the basic educational skills to hold jobs in Israel’s increasingly high-tech economy. I heard concern about this over and over from the scientific and high-tech leaders I met. Meanwhile, Dan Shechtman, who just won the Nobel Price in chemistry, has been beating a drum about the need for science and math education for all Israeli students — including the ultra-Orthodox, whose secular knowledge is often limited to basic addition and subtraction. Some never even learn multiplication. 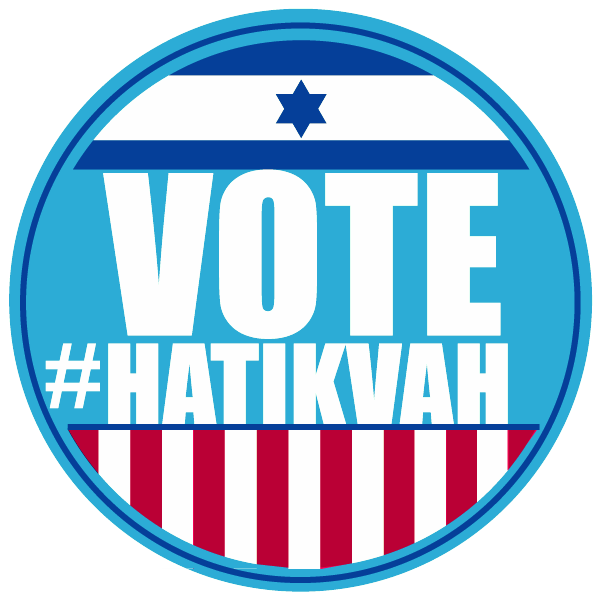 On the cultural front, secular and moderately-religious Israelis should insist upon a religiously pluralistic society, and reject the common assumption that religion = Orthodox Judaism. On the economic front, efforts need to be made to provide training and job opportunities to haredim who are willing to engage with broader Israeli society. In one example of that last point, the Technion has started an 18-month program of remedial math and science studies for ultra-Orthodox men interested in pursuing a bachelor’s degree there. 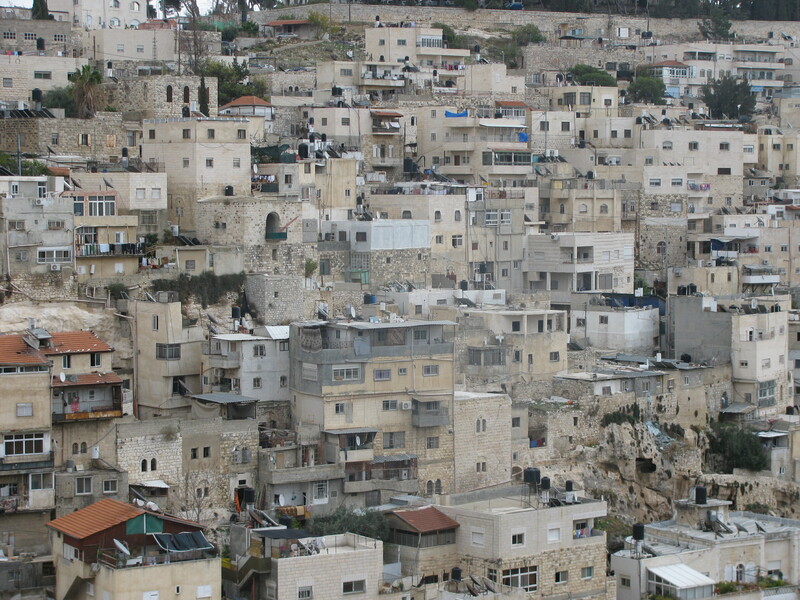 It also offers a three-year program in mapping and surveying at a haredi school in Bnei Brak. Promising. But those are only little steps affecting a handful of haredim. And the potential solutions present other problems. How far should Israeli society bend to accommodate the integration of the ultra-Orthodox? Recently several Orthodox Israeli soldiers protested the appearance of women singers at cultural events for the troops. The Army responded by agreeing to eliminate all women soloists. 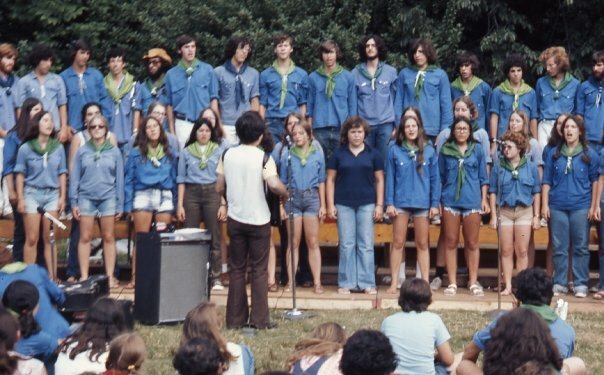 So the talented young women in the Army’s musical unit may now sing as part of a choir, but not solo. What does the ultra-Orthodox population boom mean for Israel? 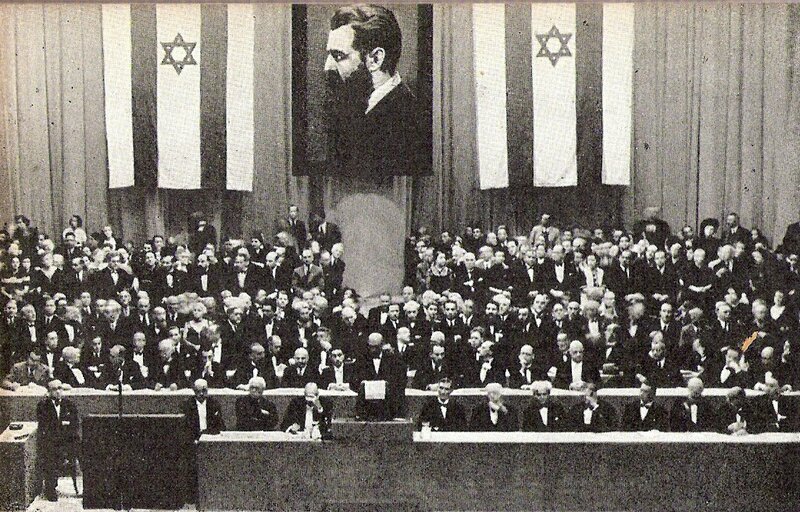 Are we moving toward something that is a Jewish version of Iran?